National Center of Social Research. 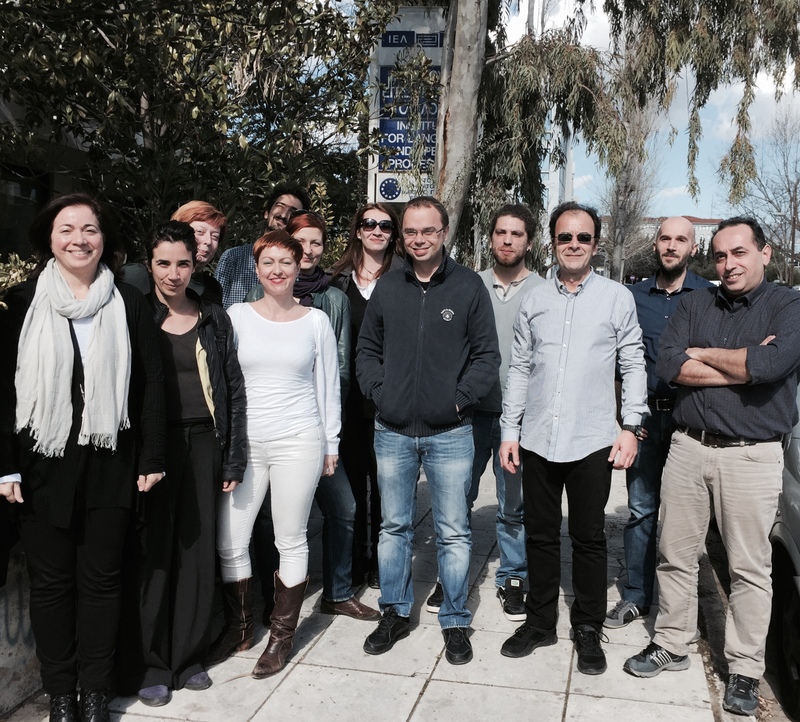 The Greek consortium is coordinated by Stelios Piperidis, Head of the Department of Natural Language Processing and Language Infrastructures of the Institute for Language and Speech Processing/Athena Research and Innovation Centre. Clarin:el primarily functions as a secure and stable national research infrastructure, offering a network of dynamic repositories devoted to and enabling the sustainable storage and dissemination of language tools and resources. Researchers can access the tools and resources of the consortium via the clarin:el inventory, which acts as a single access point to a number of local, institutional, repositories that are part of the clarin:el network. The clarin:el inventory provides user friendly browsing and search functionalities, offering a customizable faceted search interface that allows researchers to narrow down their search queries on the basis of metadata-based features such as resource type, language, thematic domain, temporal or geographic coverage, access terms and conditions, etc. Clarin:el currently contains around 500 language resources and 35 tools, which can be accessed by registered and non-registered users, in full compliance with the license terms defined by the resource providers. Many of the language tools in the inventory are offered as web services for processing content in Greek as well as other languages, which means that researchers can use them to process their data directly through the inventory: users can either select resources from the clarin:el inventory to process, or they can upload their own data for processing. The outcome of the processing constitutes a new resource which can directly be added to the inventory, accompanied by automatically created metadata. Statistics related to the use of the resources (such as number of views and downloads) as well as dynamic recommendations of related resources and services (such as similar resources viewed by other users) are available to all users. Organisations that are members of the clarin:el network have the ability to set up their own repository within the infrastructure, which can then be accessed through the central inventory. Individuals who join the clarin:el network may store their resources at a dedicated repository, the so-called Hosted Resources Repository, which is also available for the storage of resources provided by organisations which do not wish to maintain their own repository. The Greek consortium also actively promotes user involvement. Recently, on 27 June 2018, the Greek consortium organized an event intended to deepen the dialogue with Digital Humanities and Social Sciences researchers, better understand their requirements and familiarise them with the clarin:el infrastructure. On the one hand, the event featured an interactive session where the researchers had the opportunity to present their own research questions and their experiences with using language technologies to clarin:el experts, while on the other, a hands-on session was organised, where the researchers were able to familiarize themselves with the clarin:el inventory and the use of its resources and tools. Blog post written by Darja Fišer, Maria Gavriilidou and Jakob Lenardič.